If you are in a hurry and just want to know our personal recommendation for the best travel system stroller, we loved the Britax Agile Travel System. A stroller and car seat combo or known as a travel system offer convenient for parents and safety for your little passenger. An efficient transport system will save you a lot of time in transferring your child from the car seat to the stroller. Typically, a stroller travel system has two components – the main stroller and the car seat. These two need to have a locking mechanism that will keep the car seat in place. In addition, the car seat also needs to perfectly fit the main body of the stroller. This is one of the advantages of using a stroller travel system. You will get a stroller and a car seat that’s compatible with each other. All of that hardware does come at a price though, but you can be sure that you will get plenty over the years. So you want to invest in the best travel system that you can afford for long-term use. 1 Why Choose a Car Seat Stroller Combo? Why Choose a Car Seat Stroller Combo? The short answer is the convenience, and sanity that it brings to your life! Being able to transfer a sleeping infant from a stroller to the car, or vice versa, will save you a world of frustration and time lost trying to re-settle a baby. When you consider that you would have to purchase a stroller and a car seat anyway, by going for a compatible solution then you get all the upside while having the chance to save money. Depending on which model you go for. 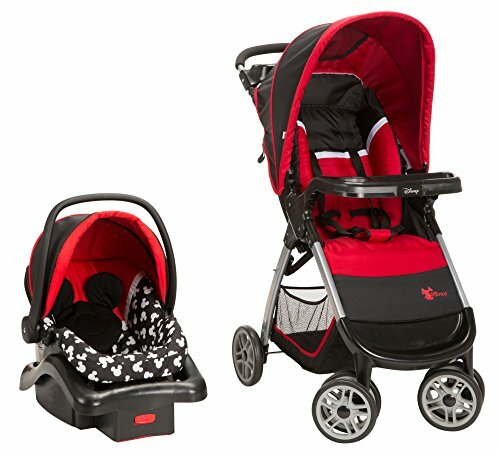 With just one look at B-Agile/B-Safe 35 Travel System, you’ll notice the uniqueness in its design.It is modern-looking and very sleek. It is very user-friendly and easy to assemble this travel system. Everything fits perfectly including the infant car seat of course. The Britax travel system gives a smooth and comfortable ride for your baby. It is so comfortable that your sleeping newborn will not be disturbed when you transfer the car seat to the stroller. It is easy to steer and a quick to maneuver. The combination of B-Agile and B-Safe 35 gives you the comfort and protection that you need from a stroller and car seat combo. It is a fact that an efficient travel system can be of great help to parents, but can also be expensive for some models. The LiteRider is an affordable option that will still do a fair job. It will come with some limitations though and you may run into problems when your baby gets a bit bigger. Aside from affordability, it is functional as well. It has a lot of features that you’re sure to love. It is sturdy and fits well together. It is a great travel system that is very easy to use and quite comfortable and secure for your little one. 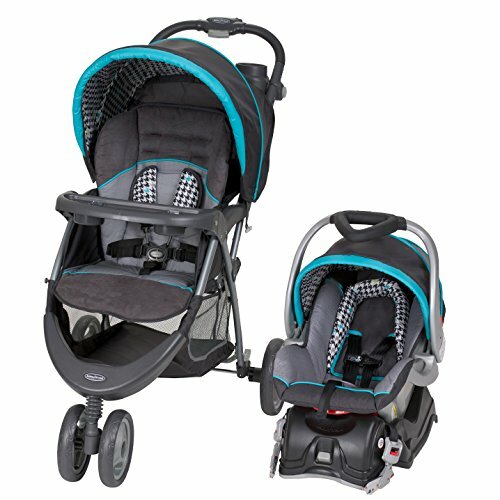 The Disney Amble Quad Travel System is a functional and very attractive travel system. Kids love Disney character and they will definitely enjoy riding inside this stroller. It is quick to assemble and very convenient to use. The materials used are resistant to exposure to natural elements. This travel system is great for strolling around the neighborhood and is great when you are running errands. The car seat locks in perfectly to the main body. It is safe, secure and comfortable for your baby. This is a great tool that can help new parents take care of their baby while easing your way out to your daily routines. 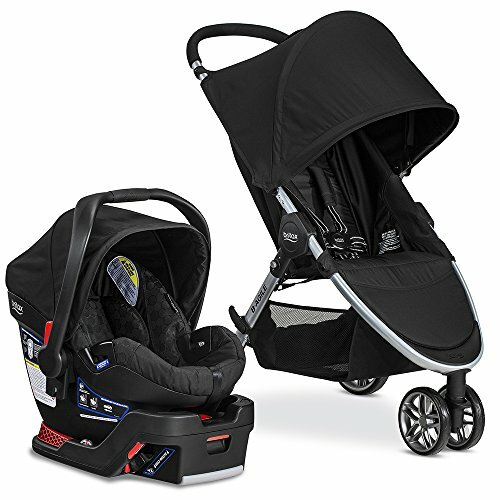 Included in the EZ Ride by Baby Trend are the EZ Ride Stroller and the Flex-Loc Infant Seat. 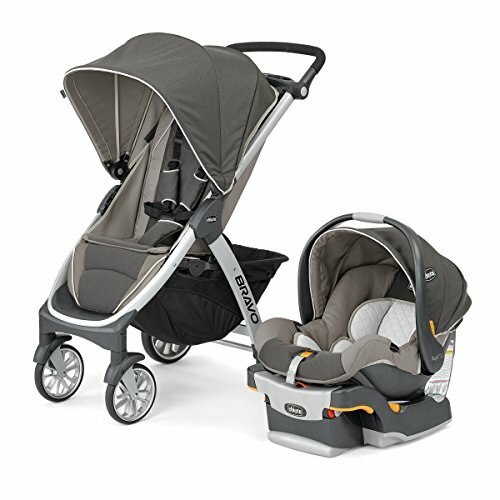 The combination of these two great products made the EZ ride an efficient and versatile travel system. You will not have a hard time maneuvering curves and turns on the road because the EZ ride is easy to maneuver and to push around. Aside from that, it is a safe and comfortable. The car seat can absorb shocks and can really keep your baby safe and secure in the event of accidents. It is easy to use and to assemble. The infant seat snaps perfectly to the main body of the stroller. The design of quite attractive and it comes in vibrant colors that are very pleasing to the eye. The Bravo Trio from Chicco is a versatile and easy to use travel system that you can use from the time your baby is born until they reached toddler age. It is compatible with Chicco KeyFit 30 Infant Car Seat and can be used in a number of different ways. For newborns, you can completely remove the stroller seat at it will serve as a car seat carrier. Somehow, it is more practical and sanitary as well to have a fixed place where you can put the car seat instead of leaving it on the floor or on top of the table. It is safer too. As the baby grows older, you can use the Baby Trio just like a regular travel system. Your child can now start using it as a stroller. It is easy to use and quick to assemble. You and your child will definitely enjoy using this stroller car seat combo. This can be tricky. This will largely depend on how you intend to use the travel system. So let’s say you own an SUV, any stroller will probably fit inside your vehicle but if you are driving a compact mini SUV or a car, you need to consider how much space will it occupy. The same is true for commuters. Pick a travel system that is compact in size so you will not have a hard time maneuvering your way through the train subways, bus stations and even when you’re riding a cab. Your baby is a precious cargo so you better make sure that the travel system that you are buying is safe for your baby. Check if the brake system is effective. Some models have a brake system that only involves the rear tires while others include both the rear and the front wheels. After that, you need to check the buckles and the straps. Some models have a three-point harness while others have a five-point harness that can support and protect your baby. Check the stitches of the straps and the quality of the buckles. You want buckles that are high quality and easy to snap on and off. Since a complete set of a travel system can be expensive, you may want to make sure that you can use it for a couple of years. If you have multiple children of varying ages, you need a travel system that you can use alternately with your children. This is a must. A travel system needs to be fully functional. You need seats that fully recline and can be used in multiple positions. The same is true for canopies. Check the tires if it will suit what you need. Make sure that it can handle the terrain where you will use the stroller. Another thing that you need to check is the storage space. A travel system can be bulky and it is helpful if it comes with storage spaces that can fit the things that you and your baby need. As for the car seat, it needs to be lightweight, durable and can absorb shock. When you are juggling a baby, a car seat and a stroller, you need a stroller that you can fold with just one hand. It is convenient and more practical as well. Warranties are different from each company so check what their policies are. It is also best to check their return policies just in case there re damages to the stroller. Also, check if the travel system that you are buying has all the necessary certification. This type of certification will check the restraint system, brake system, and stability of the stroller. It will also guarantee that the stroller doesn’t have any sharp edges. Read more about stroller safety certification on the JPMA website. With safety and ease of use paramount when transporting your baby anywhere it may be worthwhile to stump up the money for the Britax 2017. This will ensure the best possible experience over the years ahead. Although with some of the alternatives available for less than half the price you can still get good value for your money. If you are not yet sure which would most suit you, there is a full review available for each stroller travel system.